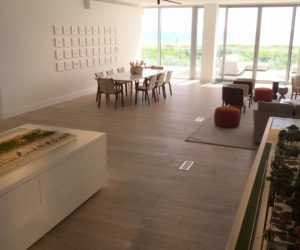 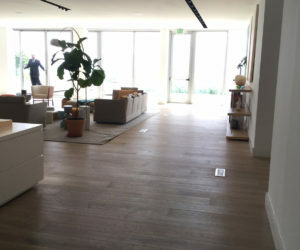 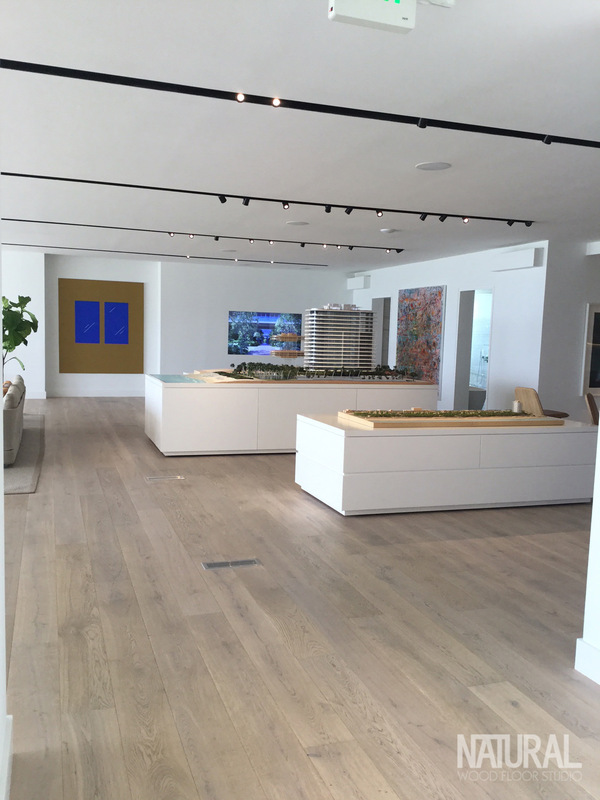 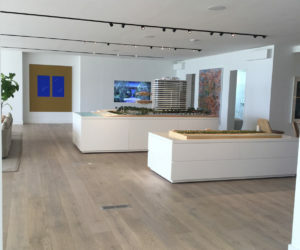 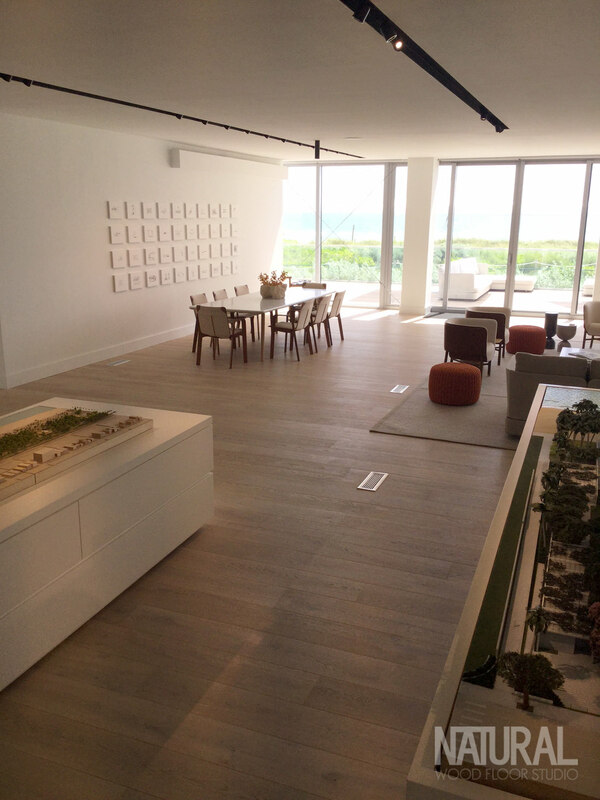 Glass enclosed sales gallery for upcoming luxury condominium tower on oceanfront in North Beach by Pritzker award winning architect Renzo Piano. 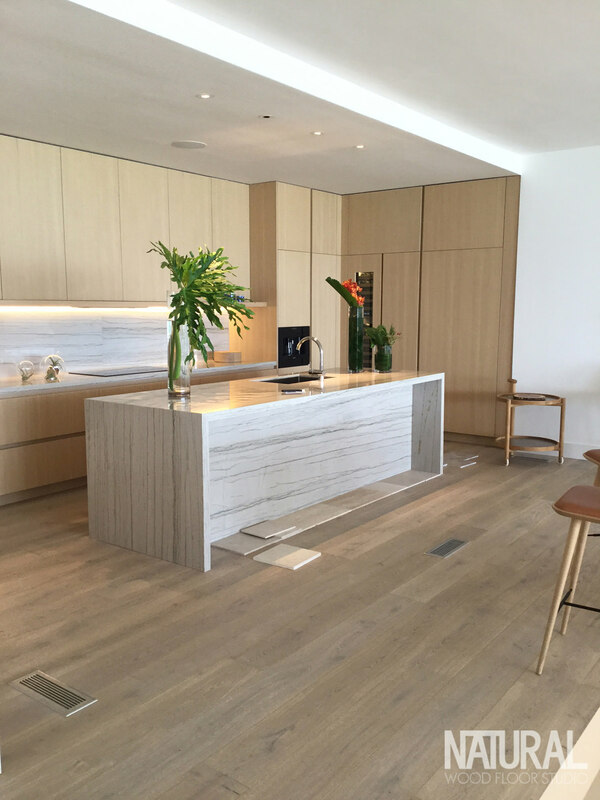 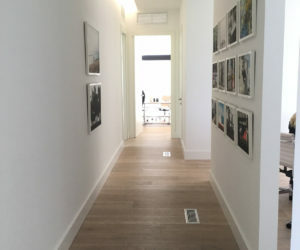 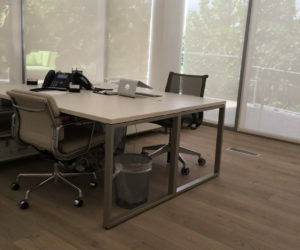 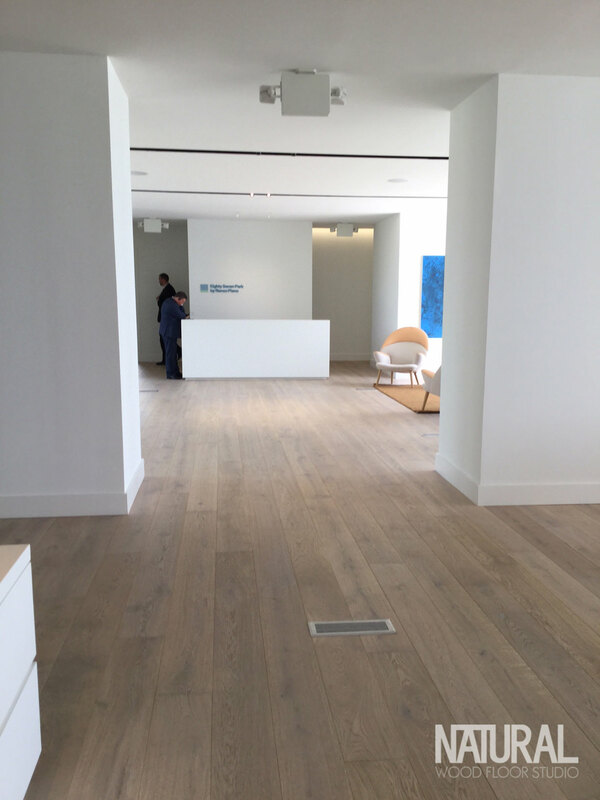 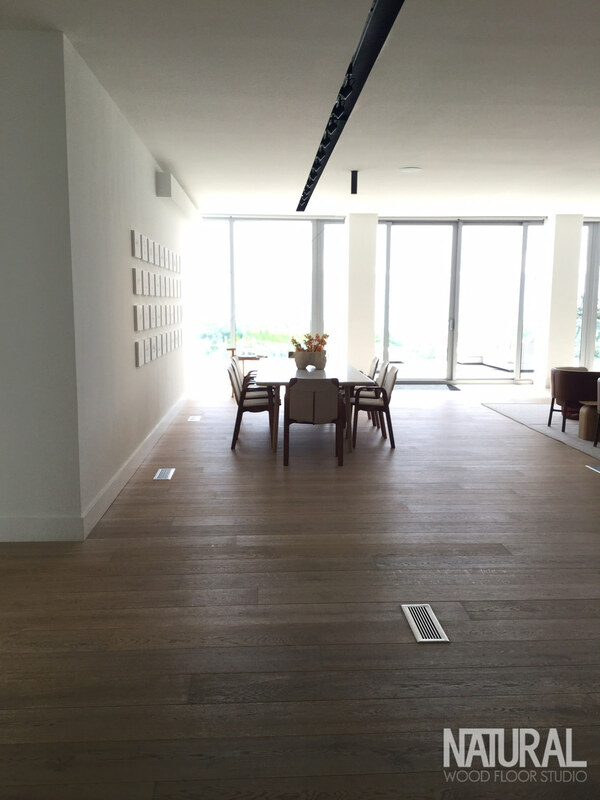 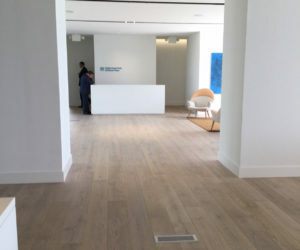 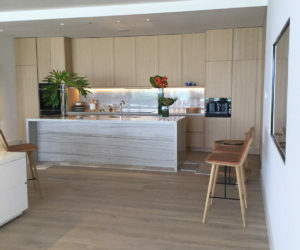 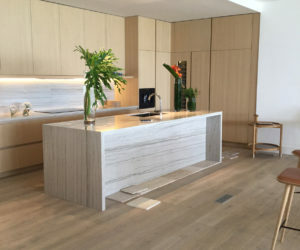 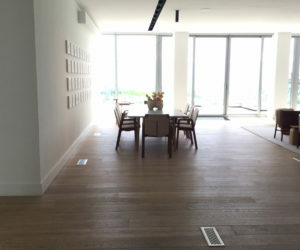 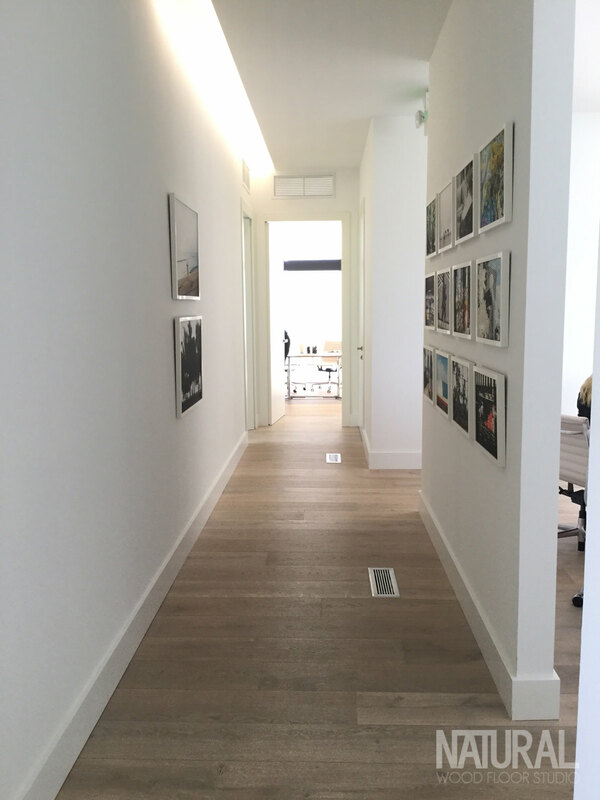 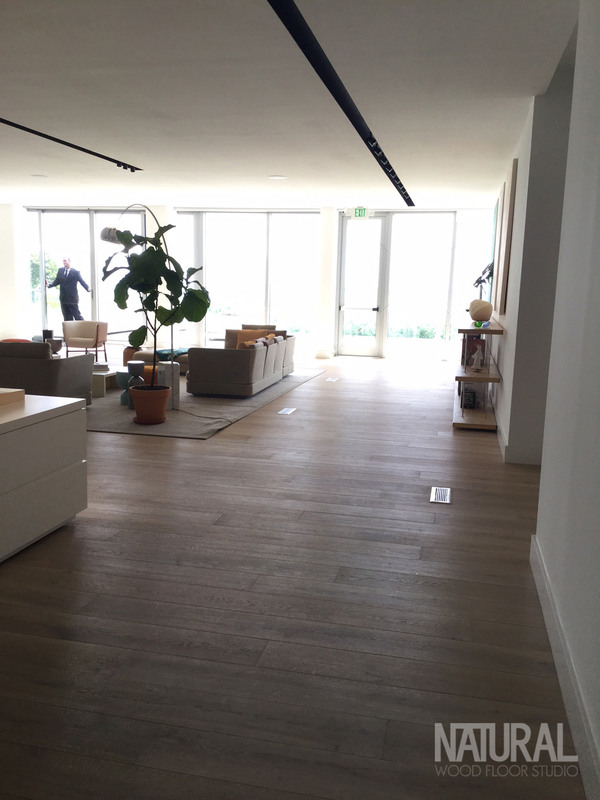 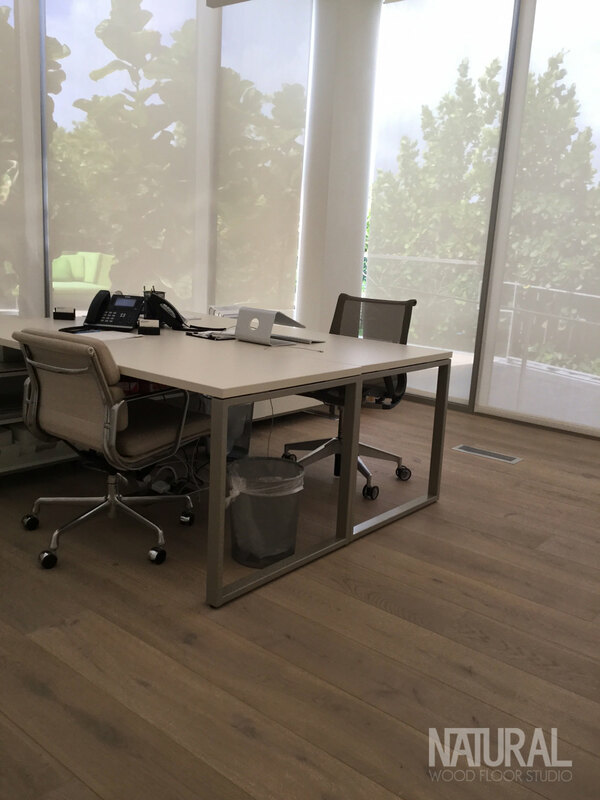 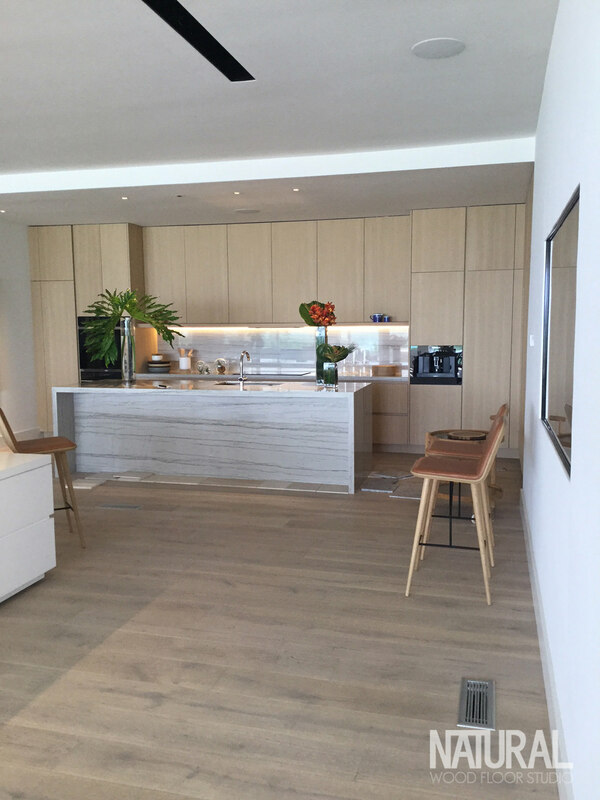 Interior Wood are wide European white oak planks with natural buff finish for light beachy driftwood look. 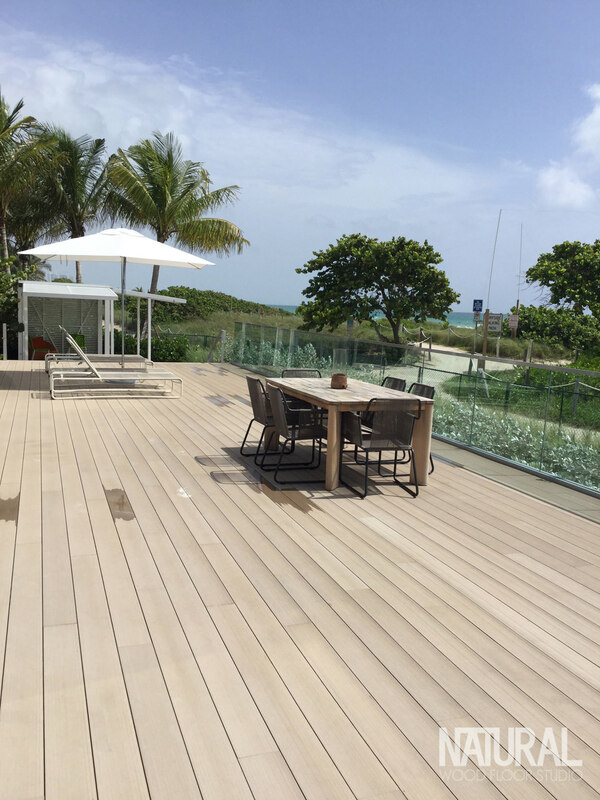 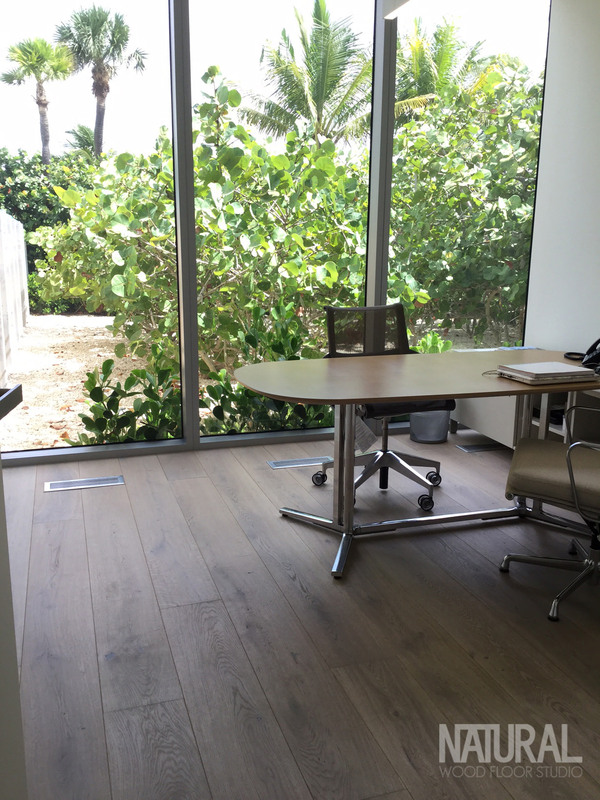 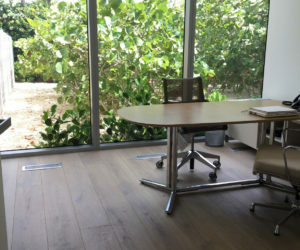 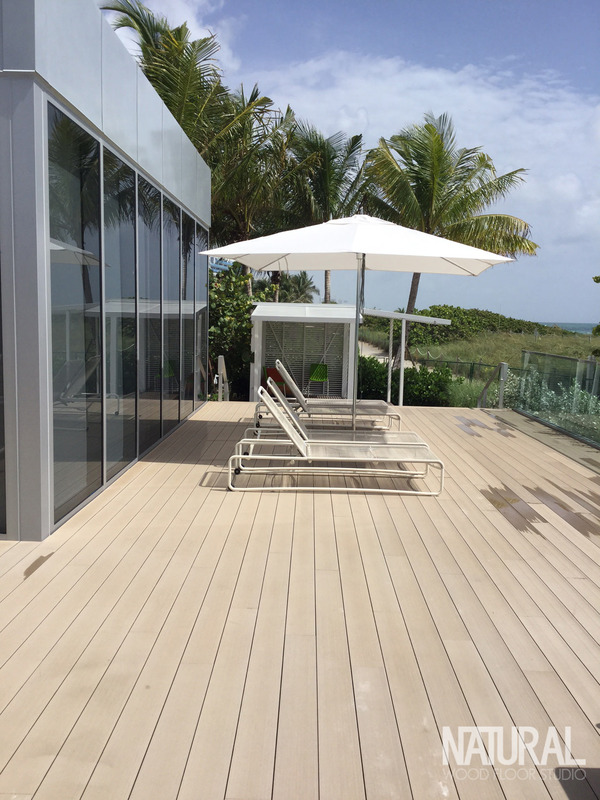 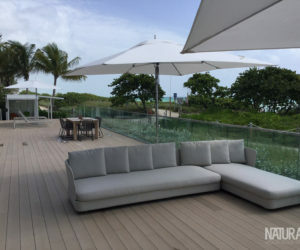 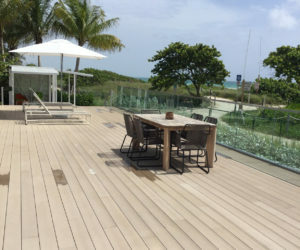 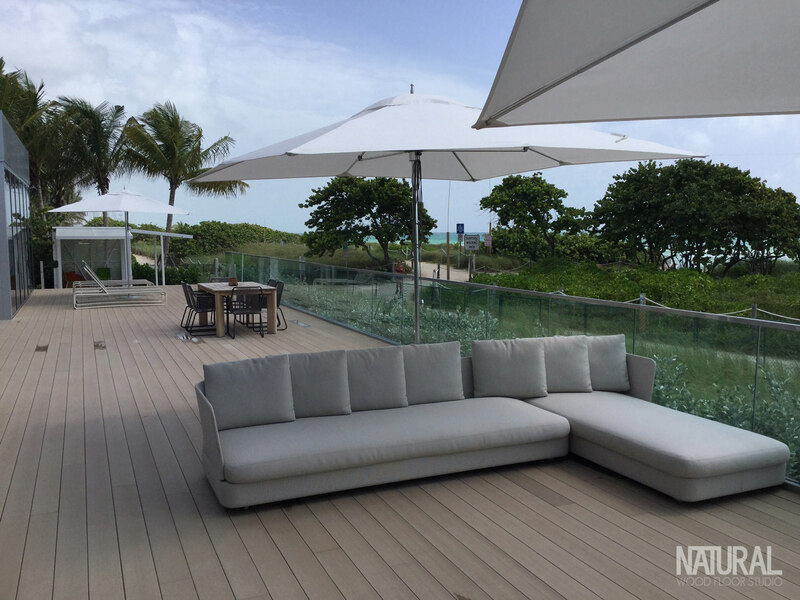 Expansive outdoor terrace overlooking green park done in Tarimatec Ecological decking system exclusive of Natural Wood Floor Studio in mocha color to coordinate with interior oak with goal of expanding interior areas out into exterior.